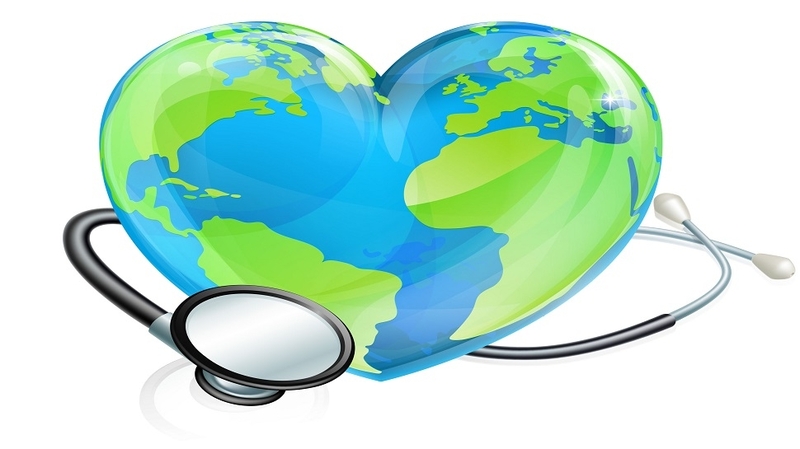 There is need to study the health profile from the perspective of universal healthcare. There are no special schemes for the senior citizens who form the largest number of ailing persons. Primary care which forms basis of a healthy society has no mention. DEVELOPMENT, progress and economic growth of the society and country is proportional to the participation of workforce in these activities. Health of people is therefore of utmost importance. Only a disease free healthy person can contribute effectively in the process of advancement. Unfortunately India accounts for a relatively large share of the world’s disease burden and there is an epidemiological transition from the communicable diseases to non-communicable diseases in the total disease burden of the country. It is therefore important to review the national health profile. The National Sample Survey Office (NSSO), the 71st round report on ‘Health in India’, has brought out certain facts which are of serious concern. About 9 per cent of rural population and 12 per cent of urban population reported ailment during a 15 day reference period. This means nearly 13 crore people in the country are unwell at any time. Proportion (no. per 1000) of ailing person (PAP) was highest for the age group of 60 & above (276 in rural, 362 in urban) followed by that among children (103 in rural, 114 in urban). About 4.4 per cent of the urban population was hospitalised (excluding childbirth) any time during a reference period of 365 days. The proportion of persons hospitalised in the rural areas was lower (3.5 per cent). This means about 6 crore people need hospitalization. Both in rural and urban areas highest proportion (around 25 per cent) for hospitalisation (excluding childbirth) were reported for ‘Infection’ (inclusive of all types of fever, jaundice, tuberculosis, tetanus, diarrhoea/dysentery and other infection). About 60 per cent people took treatment without any medical advice. This was primarily attributed to ‘financial constraints’ (57 per cent in rural, 68 per cent in urban). Out of the total medical expenditure, around 72 per cent in rural and 68 per cent in urban areas was made for purchasing ‘medicine’ for non-hospitalised treatment. In a recent report of Indian Council of Medical Research (ICMR), titled India: Health of the Nation’s States: The India State-Level Disease Burden Initiative(2017), it is observed that the disease burden due to communicable, maternal, neo-natal, and nutritional diseases, as measured using Disability-adjusted life years(DALYs), dropped from 61 per cent to 33 per cent between 1990 and 2016. In the same period, disease burden from non-communicable diseases increased from 30 per cent to 55 per cent. The epidemiological transition, however, varies widely among Indian states: 48 per cent to 75 per cent for non-communicable diseases, 14 per cent to 43 per cent for infectious and associated diseases, and 9 per cent to 14 per cent for injuries. The cost of treatment has been on the rise in India and it has led to inequity in access to health care services. India spends only 1.02 per cent of its GDP (2015-16) as public expenditure on health. Per capita public expenditure on health in nominal terms has gone up from Rs. 621 in 2009-10 to Rs. 1112 in 2015-16. The Centre: State share in total public expenditure on health was 31:69 in 2015-16. The share of Centre in total public expenditure on health has been declining steadily over the years. As high as 86 per cent of rural population and 82 per cent of urban population were not covered under any scheme of health expenditure support. Rural households primarily depended on their ‘household income/savings’ (68 per cent) and on ‘borrowings’ (25 per cent), the urban households relied much more on their ‘income/saving’ (75 per cent) for financing expenditure on hospitalisation, than on ‘borrowings’ (only 18 per cent). The country strives towards achieving Universal Health Coverage. But till date it has been a piecemeal approach. What we need is a comprehensive state controlled healthcare assurance not insurance. The Ayushman Bharat talks of insurance without keeping in view the health determinants like nutrition, housing, wages, purchasing capacity, clean drinking water, sewage facilities and job security. Moreover it covers less than 40 per cent population that too for in-patient care. From the NSSO data it is clear that major expenditure is on outpatient care and in purchasing medicines. It is still not clear as to who are the 50 crore people covered in the scheme and who will add their names in the list of beneficiaries. Many people resent that they are not able to find their names in the scheme. Moreover the rest about 80 crore people who are left out are not rich. There are no special schemes for the senior citizens who form the largest number of ailing persons. Primary care which forms basis of a healthy society has no mention. Whole scheme is for in-patient care. It will not help reduce the catastrophic health expenditure on health by the households. There is need to study the health profile from the perspective of universal healthcare. Fear is that the scheme may end up giving doles to the insurance companies.